Get ready to make some of the best friends and memories of your UofL experience! 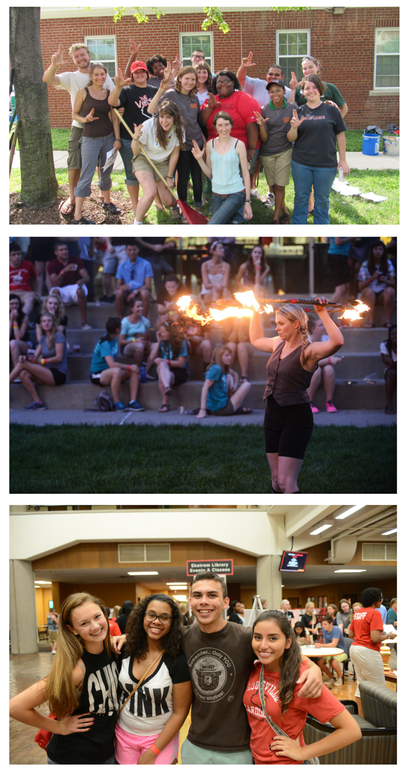 Welcome Week is an exciting series of events and activities that help first year, transfer, and returning students get the fall semester started off right. This time will help you meet tons of new and upperclass students and make UofL your new home, all while enjoying an almost endless supply of free food and prizes. Welcome Week is also a great time to show off your new University of Louisville community to your family. Family-friendly activities will take place until the early evening of Thursday, Aug. 15, at which time new students will say a fond farewell to their families.